Marigold has much value today and in traditional cultures as a homeopathic remedy, but the oil extracted from the flowers, called calendula oil, is not far behind in providing benefits. Learn more about this oil distilled from the petals of the pot marigold or Calendula officinalis, and how you can harness its health and practical everyday uses. Marigold is a genus of about 15 to 20 species of plants in the Asteraceae family. This flower is native to Southwestern Asia, as well as Western Europe and the Mediterranean. The common name “marigold” refers to the Virgin Mary, to which it is associated in the 17th century. Apart from being used to honor the Virgin Mary during Catholic events, marigold was also considered by ancient Egyptians to have rejuvenating properties. Hindus used the flowers to adorn statues of gods in their temples, as well as to color their food, fabrics, and cosmetics. Pot marigold or C. Officinalis is the most commonly cultivated and used species and is the source of the herbal oil. “Calendula” comes from the Latin word “calendar,” meaning “little calendar,” because the flower blooms on the calends or the first of most months. It should not be confused with ornamental marigolds of the Tagetes genus, commonly grown in vegetable gardens. Calendula, with fiery red and yellow petals, is full of flavonoids, which are found naturally in vegetables and fruits and are substances that give plants their lovely bright colors. Calendula oil is distilled from the flower tops and is quite sticky and viscous. It has a very strange smell described as musky, woody, and even rotten – like the marigold flowers themselves. This smell does not readily appeal to many individuals, even in when used in a remedy. Health and wellness – It has tonic, sudorific, emmenagogic, and antispasmodic properties, but it is mainly used for skin care and treatment. It has great anti-inflammatory and vulnerary action, making it helpful for stubborn wounds, acne, ulcers, bed sores, varicose veins, rashes, eczema, and related conditions. It addresses sore, inflamed, and itchy skin conditions.Calendula massage oil also greatly heals, soothes, and softens skin, making it a good addition to massage oils or when preparing a carrier oil blend. Cooking – Since the Middle Ages, the petals of marigold have been used as “the poor man’s saffron” for coloring cheeses, butter, and dishes. During the Elizabethan era, both petals and leaves were used in salads, although the latter showed to be very strong. The petals flavored soups and stews. Practical uses – Marigold has been used as a dye. Dried petals can also be added in potpourris. In a study, calendula oil was obtained in low yield (0.3 percent) by steam distillation with cohabitation from flowers and whole plants. Identified by the researchers were 66 components, mainly sesquiterpene alcohols. α-cadinol was the main constituent, about 25 percent. The essential oil from the whole plant was found different from that of the flowers through the presence of monoterpenes hydrocarbons aside from the alcohols. The principal constitutes of calendula essential oil are flavonoids, saponoside, triterpene alcohol, and a bitter principle. The useful components of calendula itself include a volatile oil, carotenoids, flavonoids, mucilage, resin, polysaccharides, aromatic plant acids, saponins, glycosides, and sterols. Skin dryness or chapping – Calendula oil is a great moisturizer for dry skin and for severely chapped or split skin. It soothes the area and reduces the pain. Inflammation – It works well on swelling sprained muscles or bruises; its anti-inflammatory action helps lessen swelling from injury. Calendula oil also helps treat spider veins, varicose veins, leg ulcers, and chilblains. Skin issues – Eczema, psoriasis, dermatitis, and other skin problems can be soothed using calendula oil, applied topically. Calendula oil’s antifungal action is also great for treating athlete’s foot, ringworm, and jock itch. Calendula oil is extracted by steam distillation. 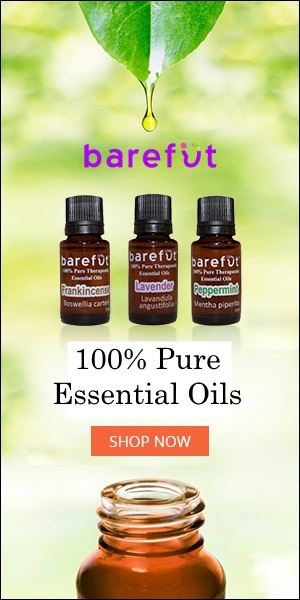 There is almost no way to obtain 100 percent pure calendula essential oil, so this makes calendula essential oil an infusion and not a pure extract. In order to get the oil from the flower, the petals are steeped in oil, preferably olive oil. The oil left over when distillation is done is calendula oil, which should be a golden orange color. Cold infusion method – This is the usually preferred techniques because it protects the delicate calendula from heat damage. Fill the jar with your carrier oil of choice to cover the petals by an inch. Put in a sunny place to infuse for four weeks. Hot infusion method – This method is much quicker than the cold infusion method but won’t have the same strength because of the presence of heat. Dump the entire contents of the jar (the petals and the oil) in a small saucepan or slow cookers. Heat on low for four hours, stirring occasionally. Let cool. Drain the petals from the oil and store the oil in a container with a lid for up to one year. You can use the homemade calendula oil as an after-bath body oil, salve, baby oil, lotion, or home remedy for dry skin, inflamed areas, or rashes. How Does Calendula Oil Work? Calendula oil is used in various products, oftentimes as a great base for lotions, salves, creams, several natural cosmetics and personal care products, and herbal ointments. It also very commonly works as a base oil in aromatherapy. Furthermore, you can use calendula oil in an all-natural herbal hair color recipe. You can create an infused oil by filling a jar with the dried flowers, which you cover with a carrier oil. You can get more out of these flowers by macerating the mixture in a blender. Leave it infused for two weeks or more to extract the flowers’ beneficial properties. When ready to use, filter the oil through cheesecloth, and use it directly in a balm or as part of a homemade cream or lotion. Pregnant and breastfeeding women should generally avoid using calendula oil. Do not take calendula by mouth, as there is a concern that it might cause a miscarriage. Avoid topical use as well. An allergic reaction may occur in individuals who are sensitivity to ragweed and related plants, such as marigolds, chrysanthemums, and daisies. Before using calendula oil, check with your doctor if you have allergies. Combined with medications used during and after surgery, calendula use might cause too much drowsiness and should be stopped at least two weeks before surgery. If you are not pregnant, nursing, allergic, or about to undergo surgery, you can use calendula oil with likely no side effect. It is best, however, to consult your healthcare provider, especially for therapeutic use. Remember, though, that sedative medications or CNS depressants interact with calendula. The plant extract might cause sleepiness and drowsiness, and taking it with sedative drugs might result in excess sleepiness. Some sedative drugs include clonazepam, (Klonopin), phenobarbital (Donnatal), and zolpidem (Ambien). I advise you to also explore safe, natural ways to get a good night’s sleep.